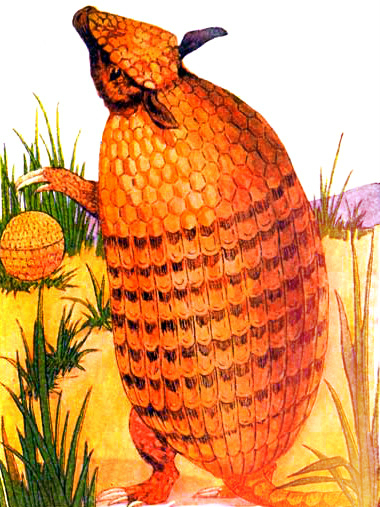 vintage clipart of an antique armadillo. From a 1913 vintage children’s book, Animal Children. Free to use in personal and commercial work without permission. Clipart created by editing vintage digital prints in the public domain.